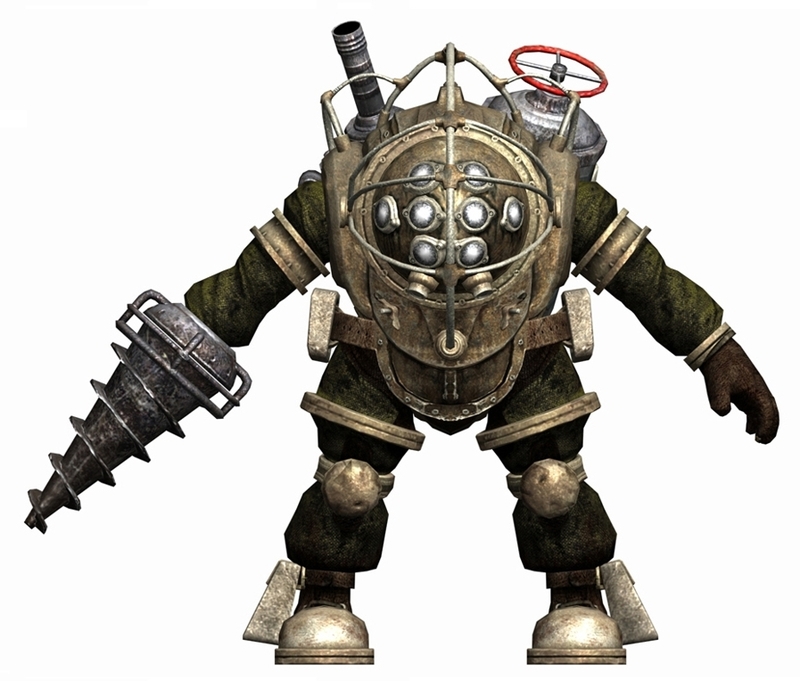 Big Daddy. From BioShock. HD Wallpaper and background images in the funkyrach01 club tagged: funkyrach01 photo. This funkyrach01 photo contains breastplate, aegis, egis, armor plate, armour plate, armor plating, plate armor, plate armour, and fauld. There might also be armet, brigandine, sallet, and salade. Is this a robot Rachel ? No, their genetically-enhanced human beings (this is the gross part, lol) ho have had their skin and organs grafted into an enormous diving suit.